The City of Minneapolis is facing millions of dollars in potential liability because it reduced its psychological screening for aspiring police officers. The police department's psychological screening practices are part of a federal lawsuit filed by the family of Justine Ruszczyk, who was shot and killed by a Minneapolis police officer last summer. An APM Reports investigation published in December revealed that in 2012 the city eliminated four of the five psychological tests it used to screen prospective officers. The investigation also showed that the psychiatrist who conducted the screenings lacked the credential required under state police licensing rules, that he charged twice what his predecessor had and that minority candidates failed the screenings at a disproportionate rate. Ruszczyk, who was known professionally as Justine Damond, had called 911 in July last year to report what she thought was a possible assault in progress. When officers Mohamed Noor and Matthew Harrity arrived 10 minutes later, Ruszczyk approached the driver's side window of their car. Harrity, who was driving, would later tell a sergeant that he and Noor "both got spooked" by Ruszczyk's sudden appearance. Noor fired his gun from the passenger's seat, across Harrity, killing Ruszczyk. Noor was charged in March with third-degree murder and second-degree manslaughter. That same day, the city announced he was no longer an employee. The lawsuit claims that Noor deprived Ruszczyk of her civil rights, that Harrity conspired with him to "conceal the truth" and that the city failed to adequately assess the mental fitness of both officers before hiring them. "The consequence is that certain MPD officers are ill-prepared, ill-equipped and unfit to perform obvious and recurring duties of police officers, including the use of force and the use of deadly force," the lawsuit alleges. "Here, it led to the fatal shooting of Justine who stood unarmed, in her pajamas, and ready to help others." The lawsuits that come after a police officer shoots someone typically focus on the actions of the officer. Under state law, any settlements or judgments involving officers' official duties are paid by their employers. But the claims about psychological screenings broaden the suit to include the city's hiring practices and internal policies, potentially increasing the liability. Judges have often dismissed such claims early in litigation, because the U.S. Supreme Court has set an extremely high bar for holding a city directly liable for the actions of employees. Plaintiffs must prove the harm they suffered was a "plainly obvious consequence" of either official city policies or unwritten customs. They must also show a "pattern or practice of misconduct." In decades of successful lawsuits against police officers, Ruszczyk's attorney Robert Bennett has only once held a city liable. "It's a high bar. But this is a strong case," Bennett said. The lawsuit draws heavily on the APM Reports investigation to make that case. Minneapolis' reduction in psychological testing followed its decision to send police department job applicants to Dr. Thomas Gratzer for screenings. Gratzer is a forensic psychiatrist, not a licensed psychologist as required by state regulations. A review by APM Reports of more than 900 license applications filed with the Minnesota Peace Officer Standards and Training Board showed no other Minnesota police department relied on Gratzer or any other psychiatrist to clear officers for hire. He screened at least 371 applicants for police and community service officer jobs between 2012 and 2017. Gratzer cleared 200 of them to become Minneapolis police officers. Gratzer charged $1,300 per screening, two to three times what his predecessors had charged, though the city's previous contractors employed a far more extensive battery of tests. City leaders began looking for a new psychological screening firm last year - not because of tests, costs or credentials, but because they were concerned about the disproportionate number of minority applicants who failed Gratzer's screenings. The screenings eliminated 21 percent of minority applicants, but only 13 percent of white applicants. In January, the city ended its relationship with Gratzer. It chose Dr. Jan Tyson Roberts, a licensed psychologist, to replace him. Tyson Roberts restored at least one of the tests Gratzer had eliminated and added additional assessments for depression, anxiety and substance abuse. Gratzer didn't return calls for comment. He also wouldn't talk to APM Reports in December before the investigation was aired on the radio and published online. 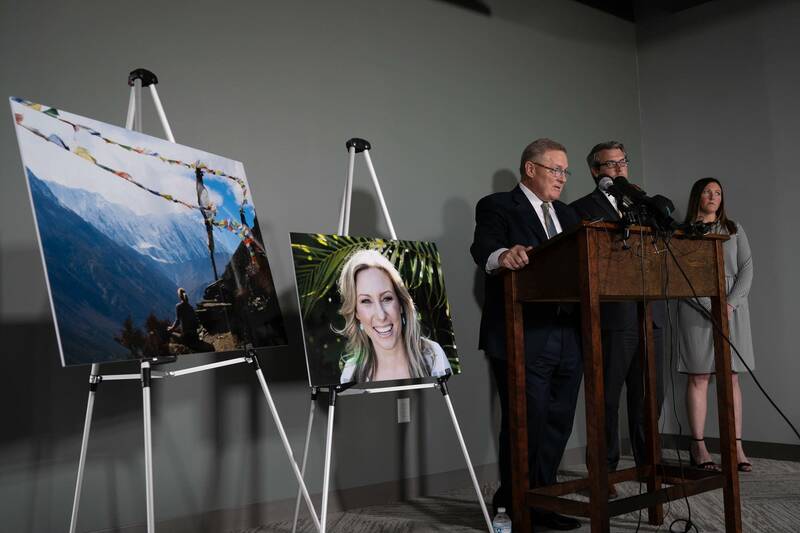 "The loss of a life, the loss of Justine Ruszczyk, is a tragedy," Minneapolis City Attorney Susan Segal said in a statement. "We are reviewing the civil lawsuit and will be responding to it. Meanwhile, serious criminal charges are currently pending against Mohamed Noor, and it's critically important that the criminal case be allowed to proceed through trial without interference."